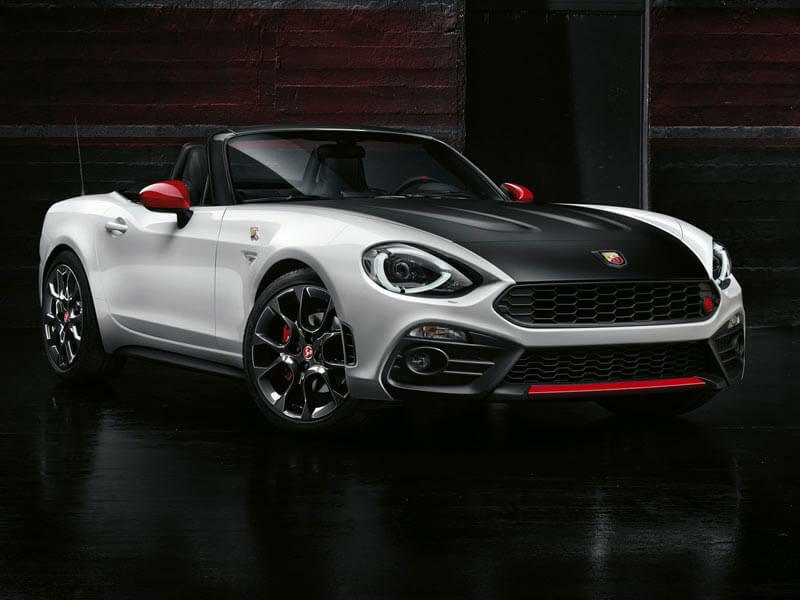 If you’re a fan of Fiat’s performance arm, Abarth, and have yearned for something a little more substantial than a very fast Fiat 500, then Christmas has indeed come early for you, with news that the brand new Abarth 124 Spider will be introduced to local showrooms in December 2016. 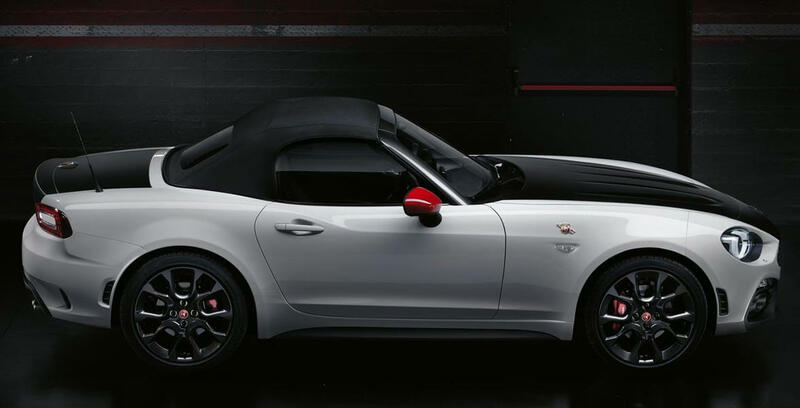 Developed in conjunction with the Abarth Racing team, “The 124 Spider perfectly embodies the brand’s values of performance, artisan craft and technical excellence. This is a car designed to put a smile back on the faces of those lucky enough to drive it” reads the official press release. As with all racing cars, the essence of speed, amongst other core focuses, is weight, or the absence of weight, and with the 124 Spider, Abarth’s obsession for lightweight drove the brand to slim down every single unnecessary gram from the car. The result of this weight saving is a roadster that weighs just 1 060kgs, achieving a best-in-category power-to-weight ratio. Under that slender bonnet is a powerful, reliable and familiar 1.4-litre MultiAir 4-cylinder turbocharged engine delivering 125kW and 250Nm of torque. Achieving an outstanding 91kW per litre, and besting key rival, the Mazda MX-5 by 7kW and 50Nm, the 124 Spider will hit 100km/h in just 6.8 seconds and accelerate on to a top speed of 232km/h. Power is sent to the rear wheels via a 6-speed manual transmission. 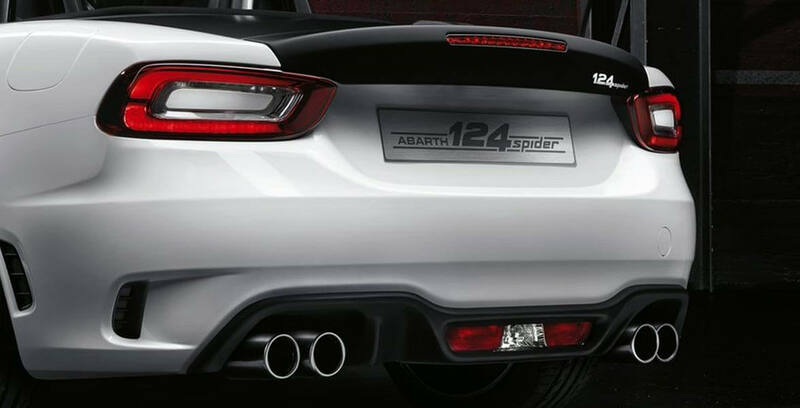 An evocative engine soundtrack is a fundamental element of all Abarth cars, and with the 124 Spider included standard is a Record Monza exhaust capable of modifying the path of exhaust gases according to engine speed. The result; a deep, satisfying and racy soundtrack. All that weight saving, power and sound would be wasted without properly sorted suspension and mechanicals, and in this regard, the 124 Spider does not disappoint. 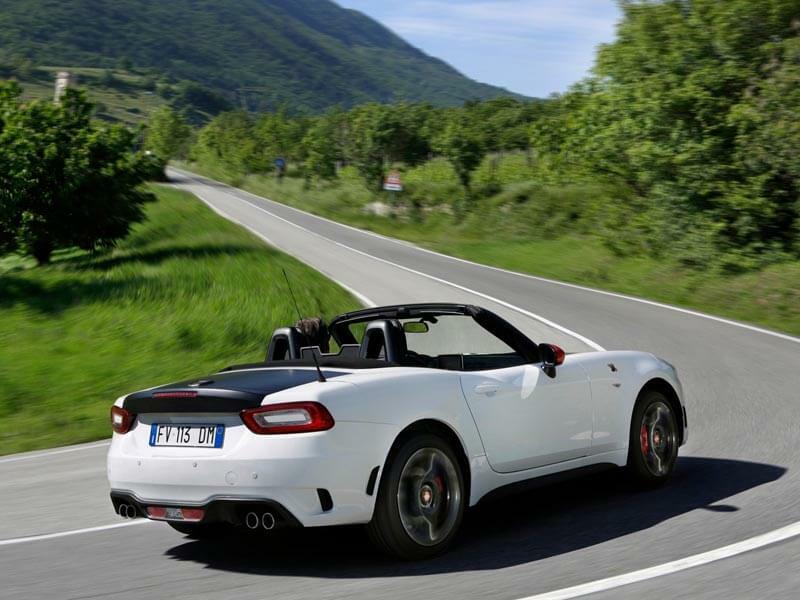 Featuring specially calibrated front double wishbone front suspension and five-arm multilink rear suspension and oversized anti-roll bars, the 124 Spider is said to offer superior handling and driving accuracy. Bilstein shocks, specific springs and a self-locking differential further add to the 124’s promised dynamism. 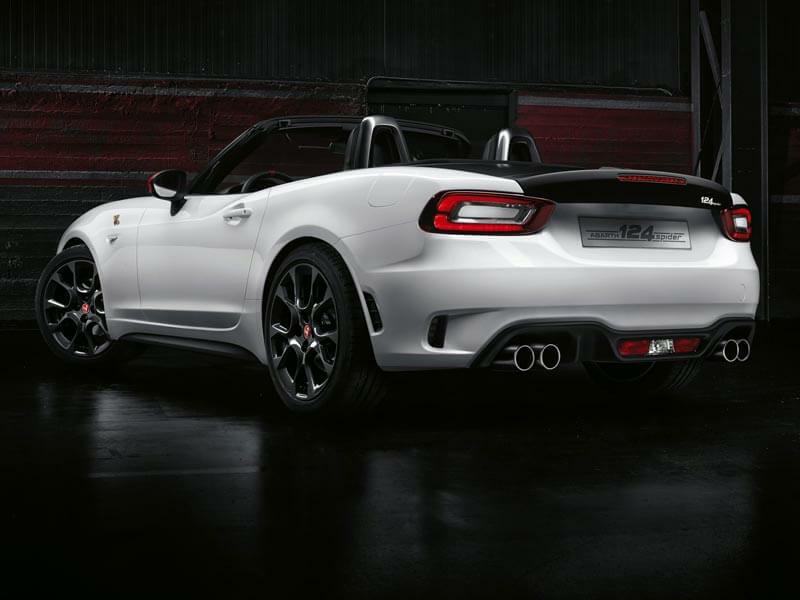 With a clear homage paid to the original Fiat 124 Sport Spider, the Abarth 124 Spider represent a ultra-modern take on an age old design philosophy; open top, cab-backwards, low to the road and minimal overhangs. The Abarth 124 will be available in five colours: two pastel, “Turini 1975 White” and “Costa Brava 1972 Red”, and three metallic, “Isola d’Elba 1974 Blue”, “Portogallo 1974 Grey” and “San Marino 1972 Black”. And if you’re wondering what the strange colour references are, they’re a homage to the prestigious historic rally wins of Abarth. Considering the effort by Abarth to keep kerb weight as low as possible, you might assume that the 124 Spider’s interior is stripped out and spartan. You’d be wrong. With a focus on minimalism, allowing drivers to focus on their core responsibility (fun) – driving, the interior blends quality materials and sophisticated tech. Heated leather seats ensconce driver and passenger, with an effort to keep the position as low as possible for further driving pleasure. Aluminium pedals, leather-wrapped steering wheel and gear lever fall easily to hand, perfectly in line with the 124’s sporty ambitions. The double layer soft top is designed to open and close as easily as possible, and even though it is operated manually (a further weight saving technique), driver or passenger are able to open or close it with one hand. Additionally, with a clever design, once folded the roof does not hinder boot space at all. Even more impressive is the 124’s standard specification list which includes; climate control system, stereo with four speakers, mp3 player, USB and AUX ports, cruise control, adjustable and electrically folded exterior rear view mirrors. Also included is the Sound Plus pack with an integrated Infotainment system that can be operated using an ergonomic, user-friendly knob on the central tunnel. It includes a 7-inch colour touchscreen, two USB ports, an AUX port and Bluetooth connection features, rounded off with a Bose sound system with nine speakers, four of which are built into the head restraints. 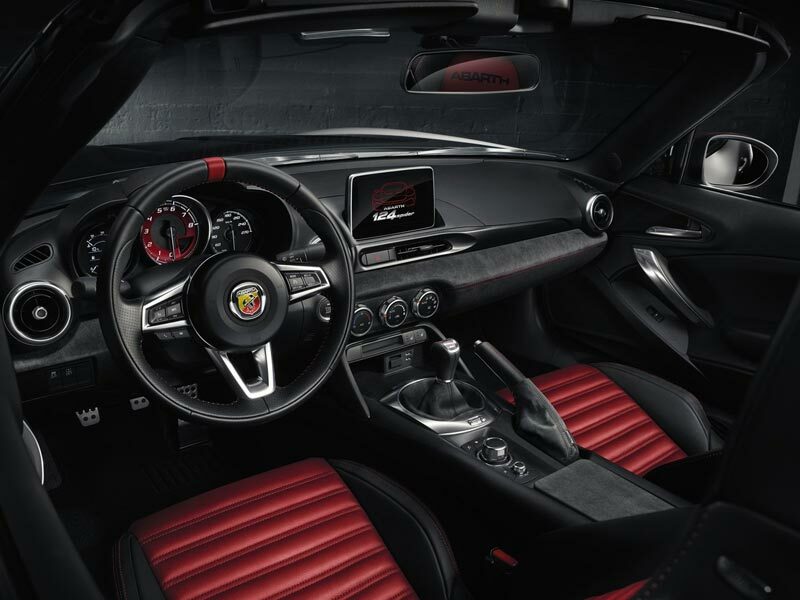 Last but not leat, the Abarth 124 Spider also features keyless start. 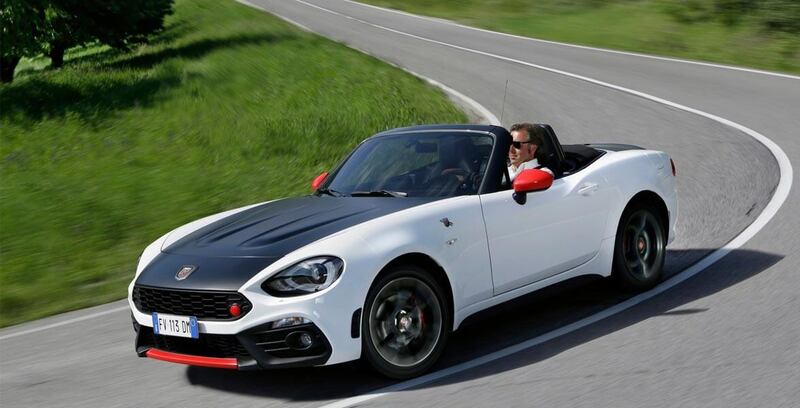 The Abarth 124 Spider features a host of state-of-the-art active and passive safety devices. In addition to ABS, standard equipment includes EBD, for adjusting front and rear axle brake force distribution as well as a sophisticated ESC, for optimal control in all driving conditions. The Visibility Plus pack includes full-LED self-levelling adaptive headlights with automatic orientation to guarantee the best driving comfort also in poor visibility conditions. These are combined with rain sensor, dusk sensor and parking sensors. 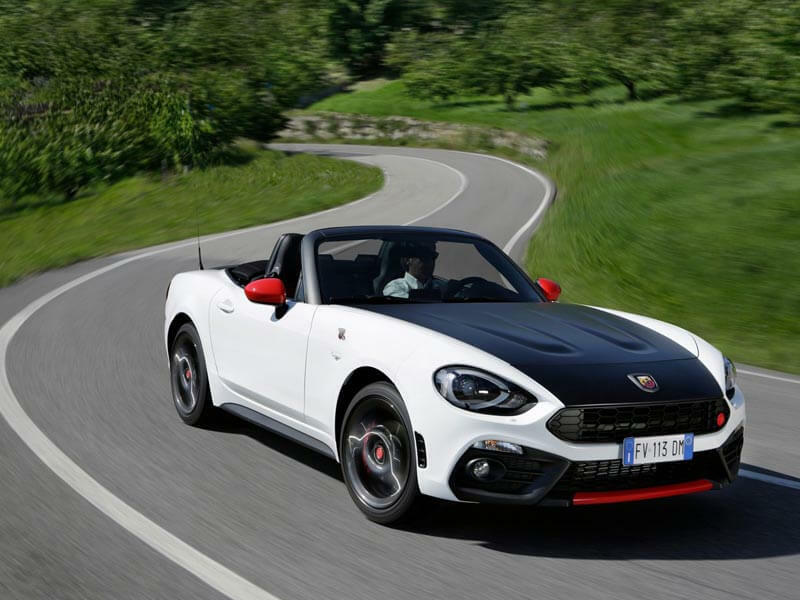 The Abarth 124 Spider will be available immediately from Abarth dealerships countrywide, retails for R649 900.00, and comes standard with a three-year 100 000km warranty and maintenance plan. Metallic paint is the only option available at R4 500.00. Abarth vehicles were renowned for their high-performance and power whilst being small and agile. Carlo Abarth’s performance modified cars achieved huge success in competitions and took many records in the process. 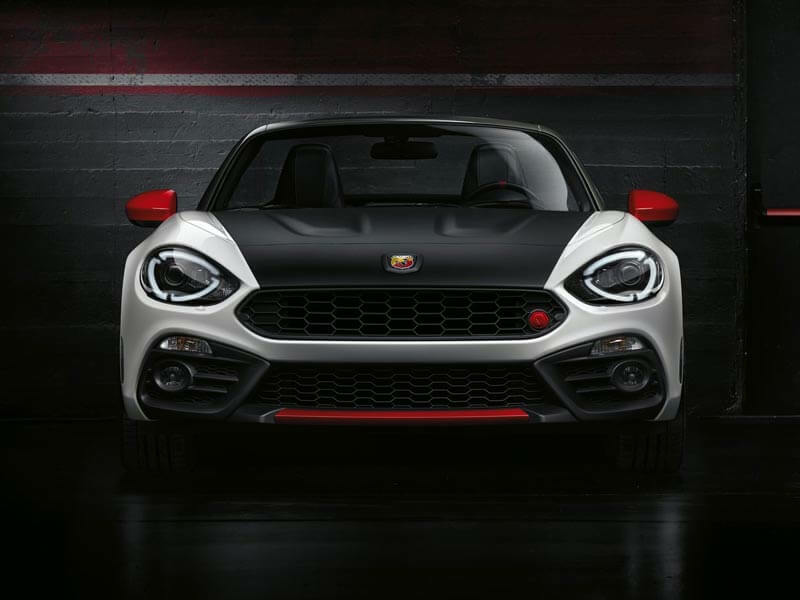 In the 1950s and 1960s, the Abarth brand continuously made a name for itself in the public eye as the synonym for sport, tuning and performance, changing the sports car world. Today, apart from the road vehicles based on the Fiat 500 and 500C platforms and now the 124 Spider, Abarth also manufactures vehicles for the one-make Trofeo series that competes in Europe, is an engine supplier to the Formula 4 racing series for the Italian and German markets and maintains an ongoing partnership with Team Movistar Yamaha in the MotoGP series. 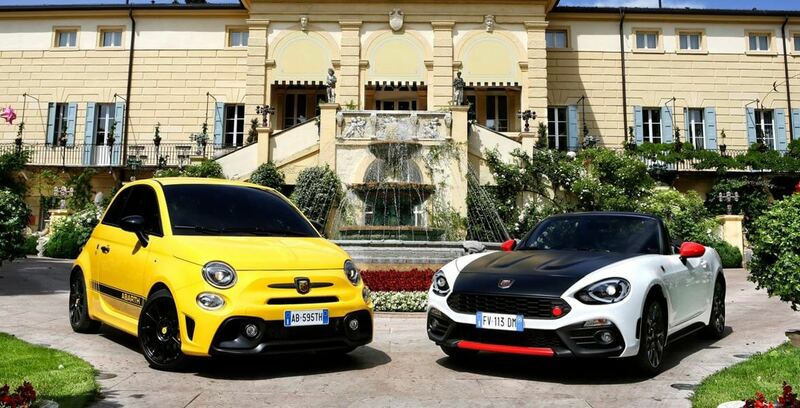 Abarth range in South Africa: Abarth 500 and 124 Spider.